Use Tech to Inspire More Imaginative Writing! | Teacher Geek is Chic! Use Tech to Inspire More Imaginative Writing! 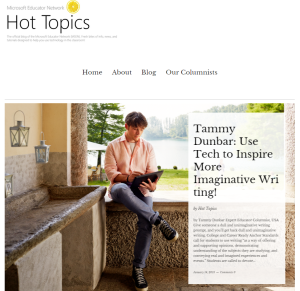 Check out my new blog post on Microsoft’s “What’s Fresh?” blog and discover new ways to use technology to support your students’ writing!